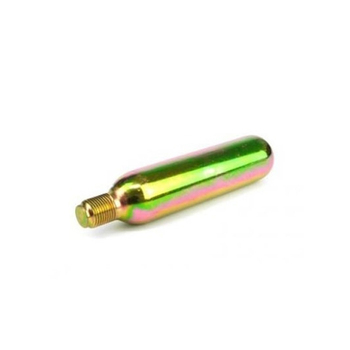 The 45G non-threaded C02 Cartridge is a perfect fit for any bicycle tyre pumping requirements. Each 45 gram cartridge is filled with 100% pure C02 for effective and rapid re-inflation. The high pressured Co2 cartridge will carbonise, infuse or inflate as easy as a push of a button. No need for a heavy, difficult to store hand pump, the Co2 re-inflator is light, compact and easy to keep on your person. Each 45 gram Co2 cartridge can provide multiple uses and once the C02 cartridge is empty, it can be easily recycled as they are made from 100% recyclable steel, just put it in with your tins and cans. 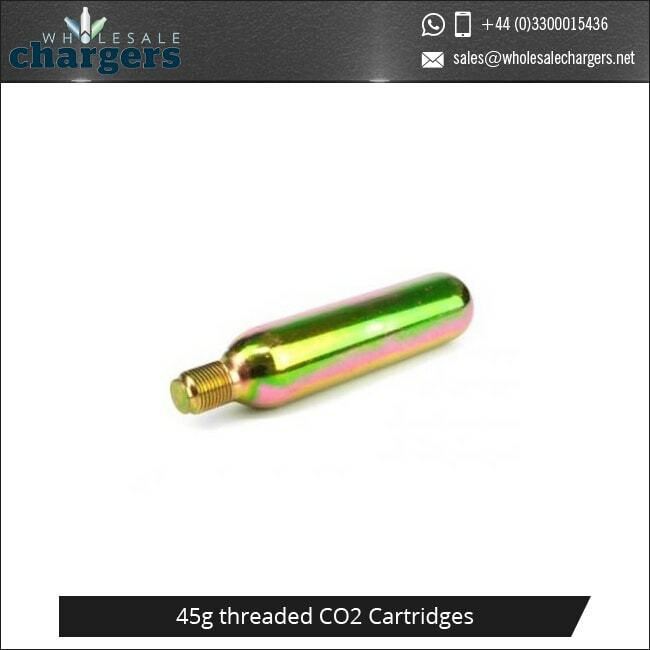 The 45g Co2 cartridges are easy to attach and detach from your carbonating, air or inflation device on the go, just ensure when using and replacing them that you take caution not to make contact with the 100% Co2 inside as this can cause harm. The Co2 Cartridges we supply are produced by our excellent manufacturers Liss and Mosa, allowing us to supply the World with the best pressurized gas products. 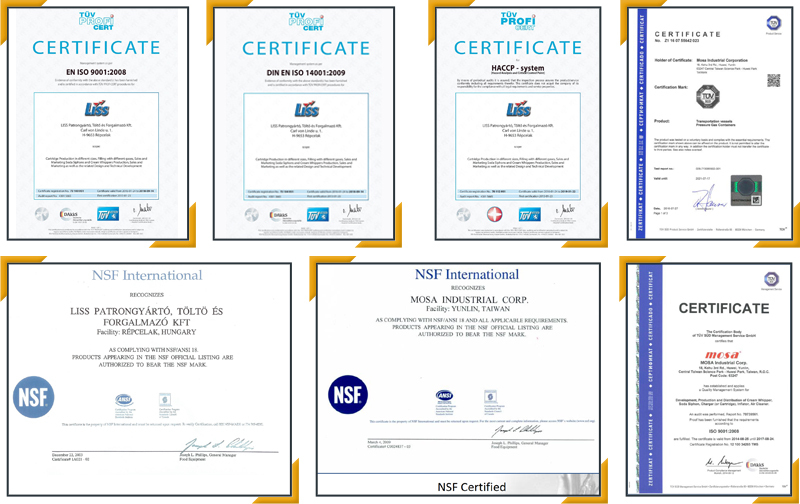 Liss co2 Cartridges and Mosa co2 Cartridges are produced to high quality standards with all necessary health and safety information on the packaging of all products. Minimum for all orders of 45g Co2 cartridges is 240 cartridges, orders are bulk amounts, not single units. All the Co2 cartridges you order will be delivered in unbranded, plain packaging, so you can repackage your orders, label and design them the way you want. If you would prefer, we can repackage the cartridges on your behalf, adding any designs and logos you wish before we deliver them. 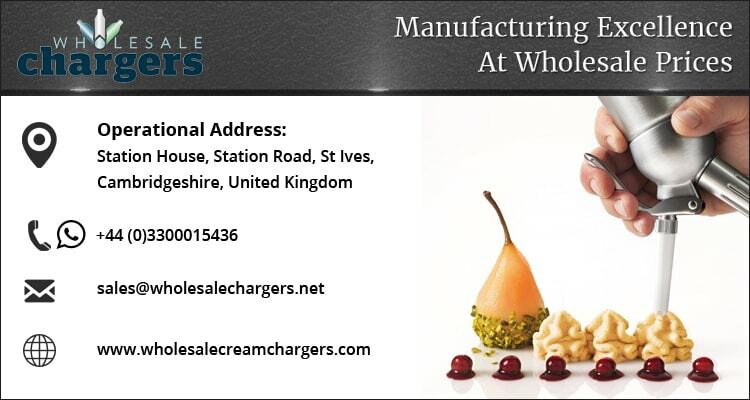 If you order from us you can build your own brand, customise the products you order from us with your brands, logos and designs, so your customers know the products they can rely on and keep coming back. All orders are wholesale bulk orders not singular items, keeping you stocked up with all your businesses Co2 cartridge needs.